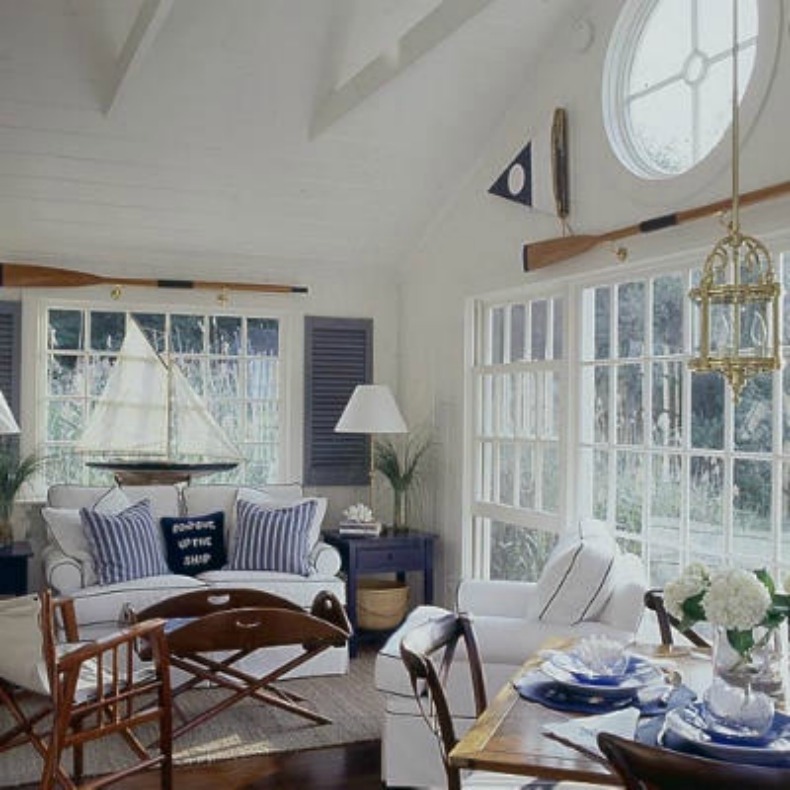 Beautiful nautical elements make these rooms inspiring, coastal chic. 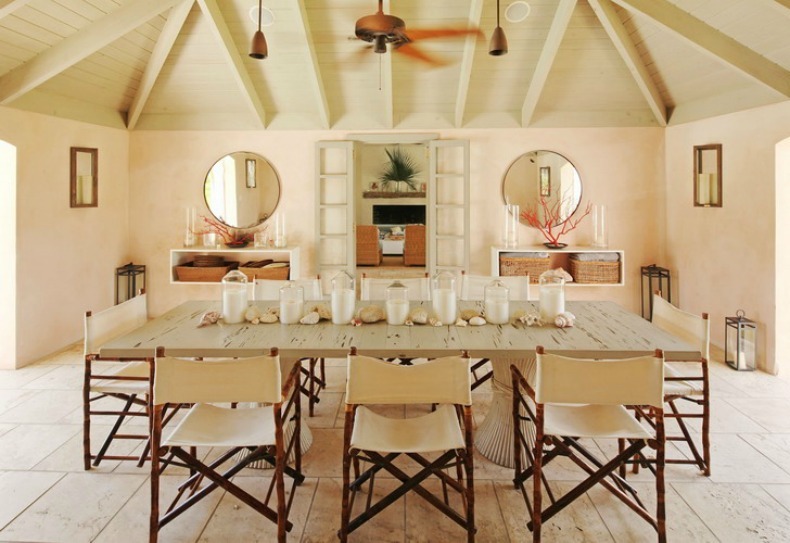 Modern, coastal, nautical dining room with directors chairs and whitewash wood plank table. Rustic coastal bedroom with a touch of shabby chic and nautical accents. Coastal chic Living Room with white slipcover sofas, contrasting navy welt and great nautical touches.